Another month of the origami calendar come and gone. I actually folded and photographed nearly everything for March in less than a day. Yet I had to ask myself: was it worth that day? I’ve seen the work of real origami artists. The origami in this calendar is cute (sometimes), but it’s not art. And I already know how to fold the kind of origami this calendar has. And while I admire the skill and quality of paper exhibited on Instagram, I’m more interested in getting into quilling and popup book making than origami. And I don’t have time for that right now either. I said when I started this that I either needed to use the calendar or let it go. So it’s time to stop following the calendar’s formula and go with my own. I’ve dug through it and extracted 65 pages that I want to fold. 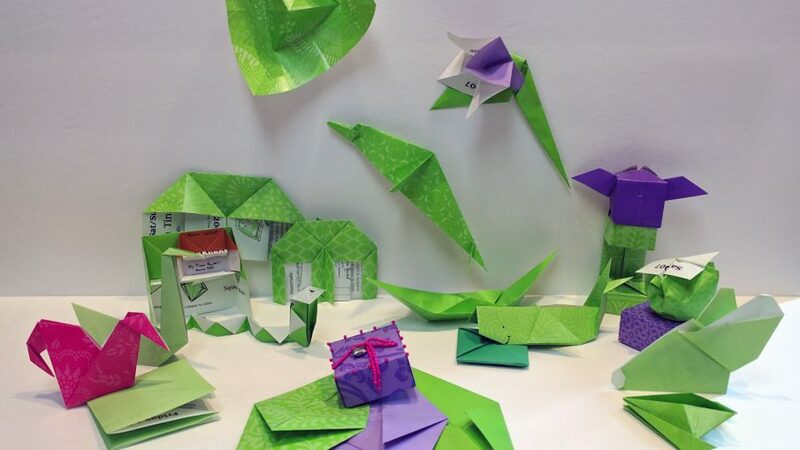 During the month of April I will stagger them by completing and posting a photo of 8 to 9 pages’ worth of origami every four days to Instagram until I am done. I think I only kept at this so long because I wanted to prove that I could commit to something for a year, but I really don’t think the benefits are worth it here. There are much better projects that I can work on that are not limited to a year and you’re already seeing me do them.